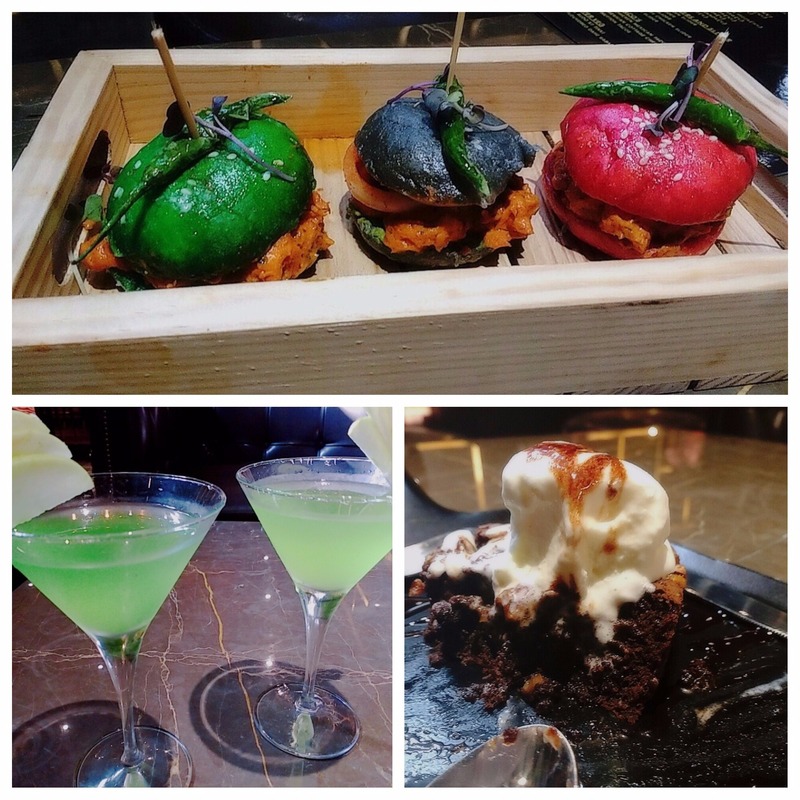 The newly opened ‘Friction the drinkery’ in Gurgaon has some amazing eating and drinking options. Well, a few days back I visited a new watering hole called -Friction-the drinkery – which is lounge and bar opened in Sector 29, Gurgaon (nearest metro : IFFCO chowk). A well-decorated place with eye-catching romantic outdoors and a warm welcoming environment was something that instantly pulled me towards this place. And, what else would anyone wish to have at the end of day when you have toothsome dishes served on the table along with soothing music and some ecstatic faces around. While I started my meal with a thick, creamy and smooth chocolate and almond milkshake, and I knew a lot more was on the way to my table so I better save some space. After which I was served fresh oven-baked savoury nachos in a yellow coloured unique cart along with a tomato and red chilli salsa, which tasted amazing with the sour cream on top — although because the nachos being baked, they went soggy after some time so if you order a plateful make sure you eat it fast. Next I had chilli paneer which was luscious, crispy full of flavours and decorated with capsicum, onion rings and scallions on top. The carrot and cabbage salad served along were really appealing — not so authentic yet so damn delicious, I didn’t mind at all. As I finished munching on, I was amazed by those soft and tender dahi kebabs which surprisingly were stuffed with beetroot in between. While, beetroot gave them a sweet yet beautiful texture, the onion rings and green chilli chutney was definitely a good idea to enhance the taste. 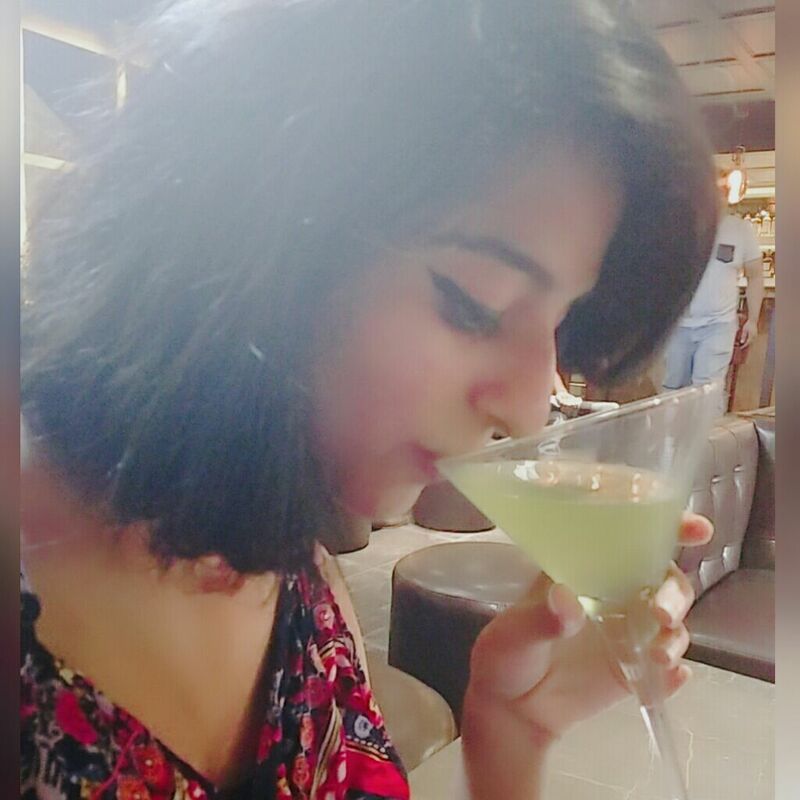 I ended my delightful meal with a green apple martini and a delicious chocolate brownie dessert, which was a great punch to my taste buds as it tasted absolutely refreshing. About the ambiance, the music was soothing and went perfectly with the mood of the place. The drinkery can easily house around 60-70 people at any given time, and the staff was courteous with impeccably fast service. Mainly the price of every other dish and drink is nominal and pocket- friendly. For me, a meal at ‘Friction the drinkery’ was a wholesome experience and I have to say kudos to the owner and staff! Lookin forward. Looks like a fusion restaurant will love to have a sitting there. Didn’t visit there yet..bt gonna try for sure…seems a worth place .. If u r saying then it will be amazing…. Didn’t know you are this much of a foodie. Loved all of the content. Its great. And quite helpful.